512 Grafton Ave San Francisco, CA. | MLS# 465224 | Andrew de Vries, Probate Real Estate, San Francisco Probate Real Estate, Oakland Probate Real Estate, Berkeley Probate Real Estate, Alameda Probate Real Estate, Lafayette, Contra Costa Probate Real Estate, Probate realtor, Probate agent, Probate Broker. Beautiful South-facing Ingleside-Area 2BD/1BA Center Patio with Bonus Room & Additional Space to Grow! This 1939 Original has been nicely updated in recent years, has lots of period charm (parquet floors, crown moldings, decorative mantle) and is located just steps from Ocean Ave shopping, dining & more! 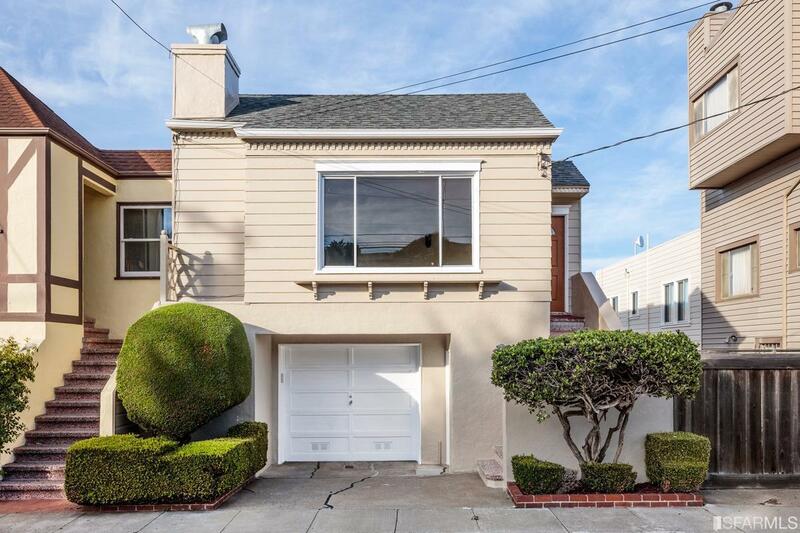 The bright, open floor plan boasts a FLR w/FP, FDR w/skylight & center patio access, a updated kitchen w/adjoining b-fast rm, remodeled BA w/shower & tub, and 2 ample BDs (with peek-a-boo views) tucked quietly in the home's rear. A large garage w/bonus rm & possible expansion space down, PLUS a big rear yard (2,495 Sq Ft lot) complete this rare offering. Wonderful area near Whole Foods, 24Hr Fitness, Muni, BART & 280/101 commute access!